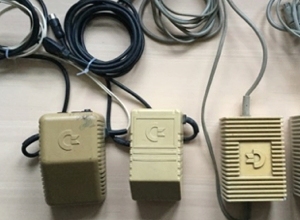 Commodore produced a fair amount of different looking power supply units (PSU) for the Commodore 64 home computer. 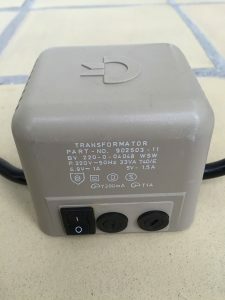 I have collected some of the most common versions from the European market in this post to show some of the differences between them. 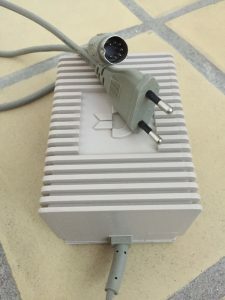 All brown/greyish PSUs were made for the Breadbox and can supply 1.0A @ 9V AC and 1.5A @ 5V DC, while the white PSUs for the Commodore64C and C64 Games System provides 1.0A @ 9V AC and 1.7A @ 5V DC. 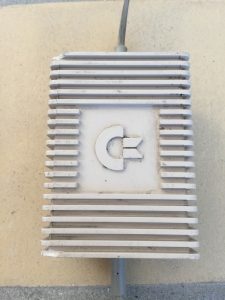 At the bottom of the post is a more modern C64 PSU made by Ray Carlsen with a build-in computer saver (more on that later). 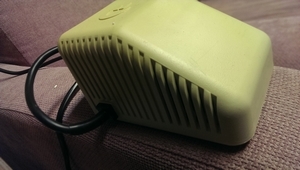 This particular PSU uses a T160mA fuse. 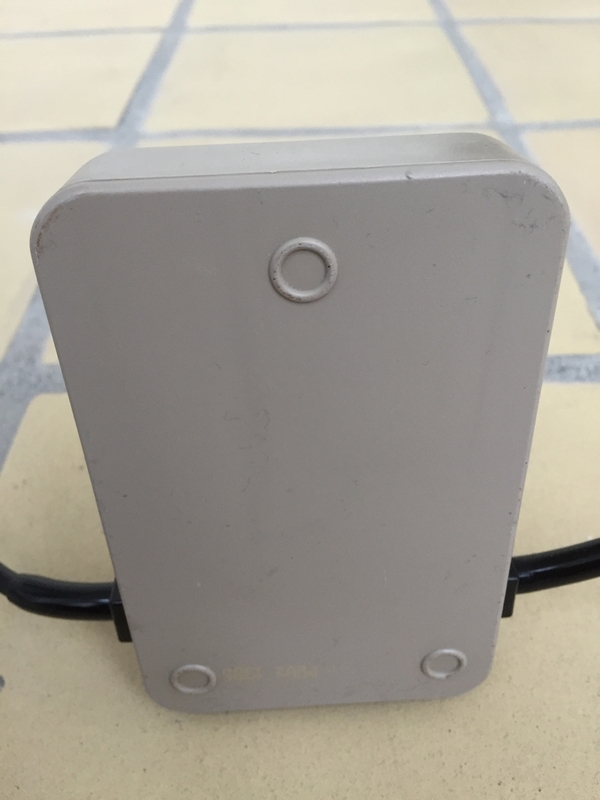 It has no power switch on the rear side. 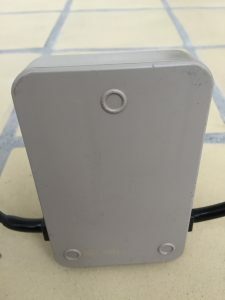 The fuse plate is rectangular shaped. 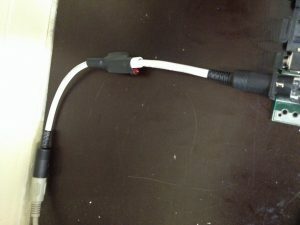 This particular PSU uses a T160mA fuse. 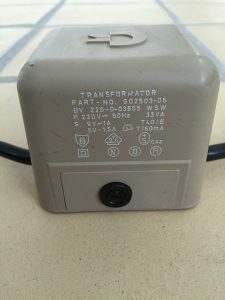 It has no power switch on the rear side. 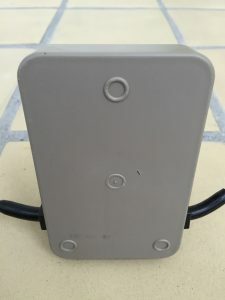 The fuse plate is square shaped. 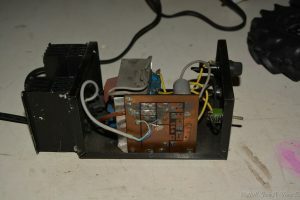 This particular PSU uses a T200mA fuse and a T1000mA fuse. It has a power switch on the rear side. I like having the option of turning the PSU off whenever I do a repair job to make sure no power is still flowing into the electronics when I remove IC’s for testing/repairing. 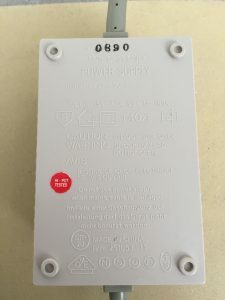 The fuse plate is rectangular shaped. This particular PSU is from Columbia (thanks José!). The PSU seems to be repairable. 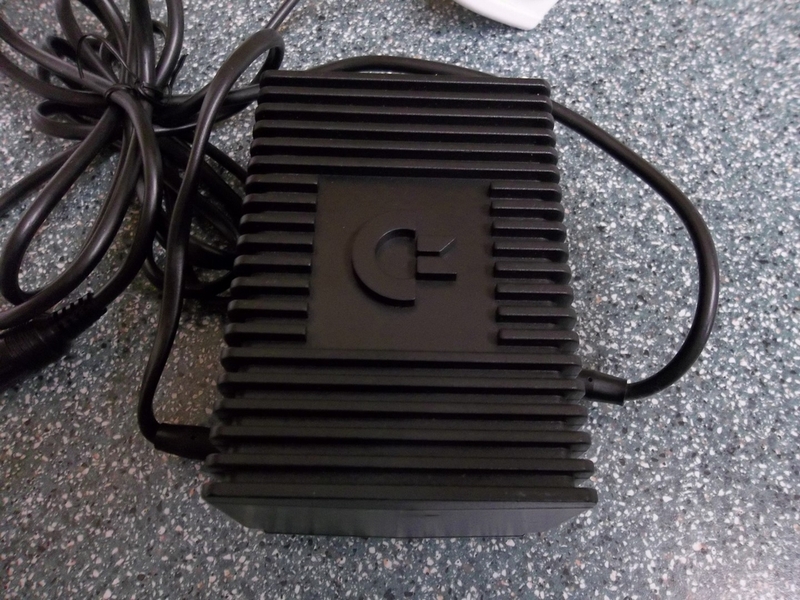 It has a power switch and a LED on the front and is by far the most bulky PSU I have seen from Commodore for the C64. This particular PSU uses a T1600mA fuse and a T2500mA fuse. The fuses are placed on the inside of the power supply. This particular PSU is repairable. 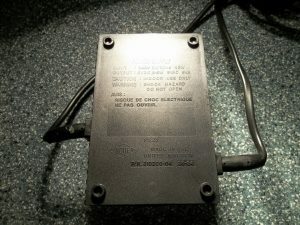 The bottom plate can be removed for repair’s. 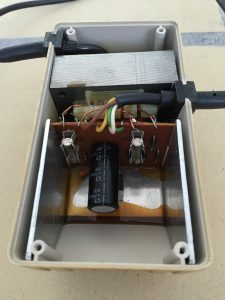 The fuses can be seen on the little PCB flanking a large capacitor. 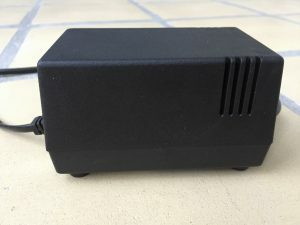 This particular PSU has no fuse or a power switch on the rear side. 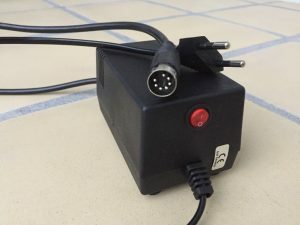 This particular PSU uses a T200mA fuse. It has no power switch on the rear side. 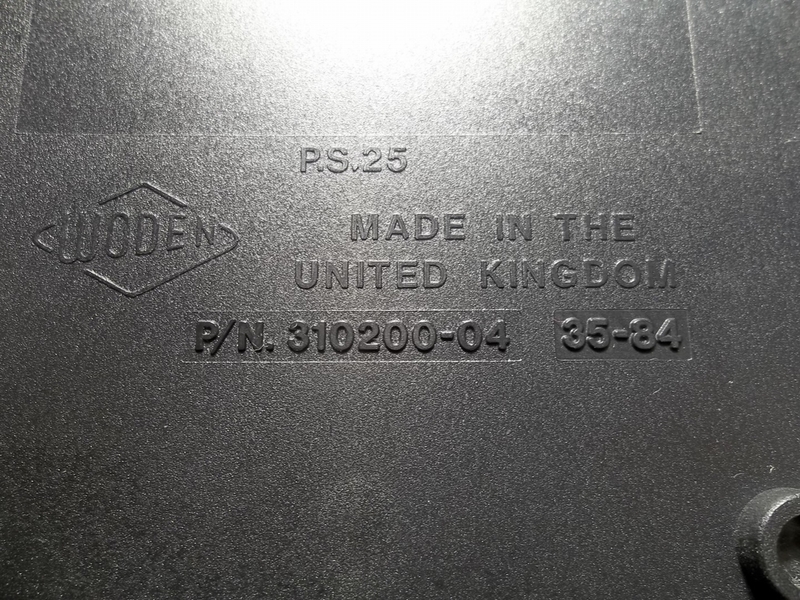 This particular PSU is black and is made in England. It has no power switch on the rear side. 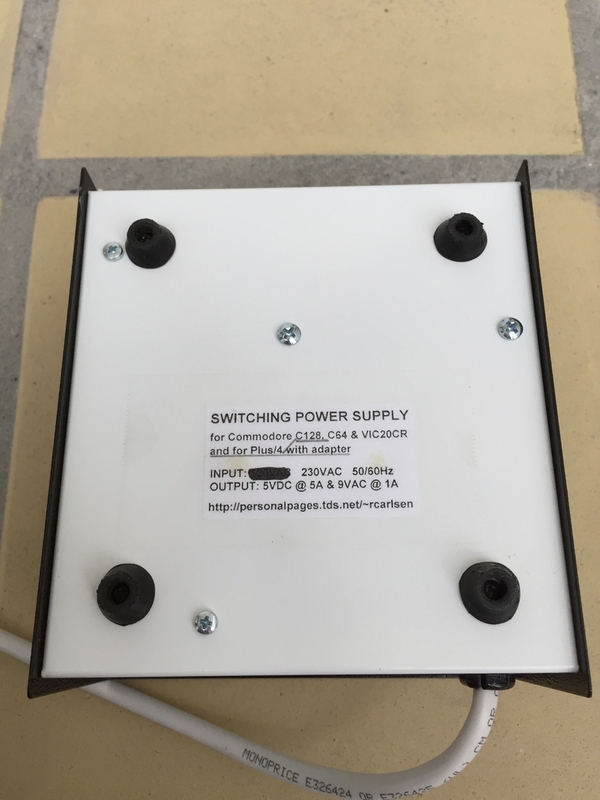 The above PSUs use a linear design consisting of a transformer, a rectifier, filter capacitors and a regulator for the 5V DC source. 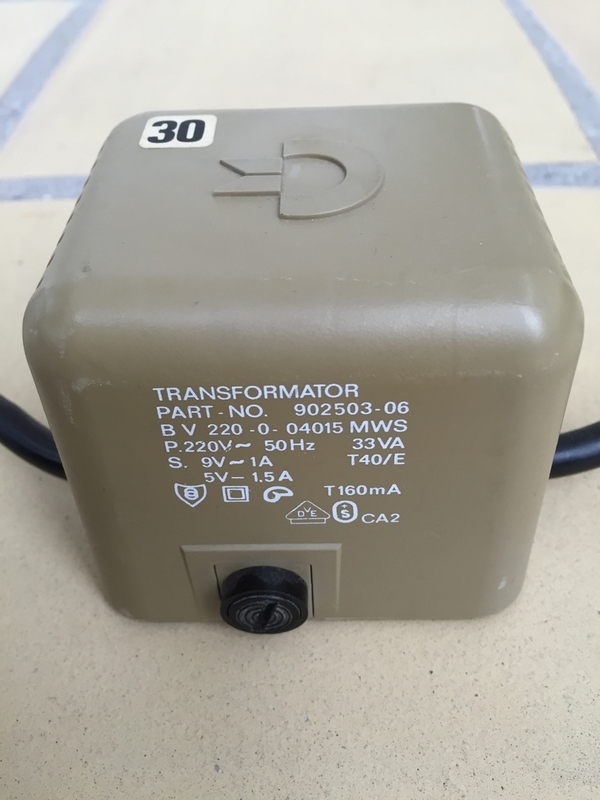 The 9V AC comes straight out of a transformer. This linear design is simple and reliable but it creates a lot of heat which will eventually destroy the PSU. Some of the PSUs can be repaired while others must be replaced. One of the ways a PSU can fail is from a shorted internal 5V regulator. 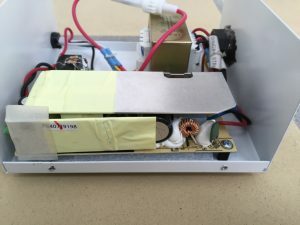 That fault puts excessive voltage into the computer and will most likely burn off IC’s (like RAM ICs) and kill the machine before being noticed. 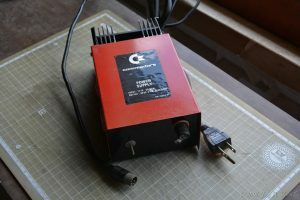 Ray Carlsen also makes universal Commodore PSUs with a build-in Computer Savers. 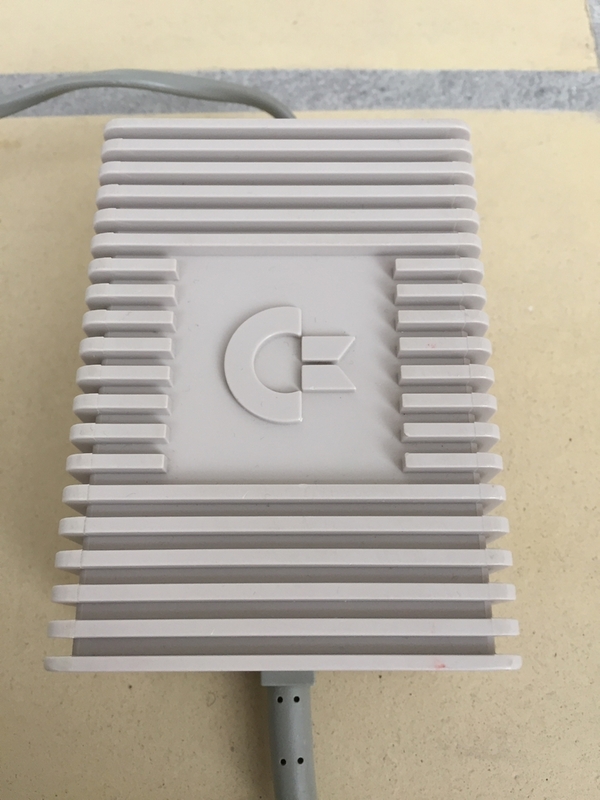 His PSUs delivers 9V AC @ 1A and 5V DC @ 5A which is more than enough to run a Commodore 64 with a RAM Expansion Units (REU) or a SuperCPU attached to it. It features large heat sinks to make it run cool in any environment, a tight regulation from no load (computer off) to full load (5 amps maximum) and has automatic shutdown protection if overloaded from a downstream short circuit. 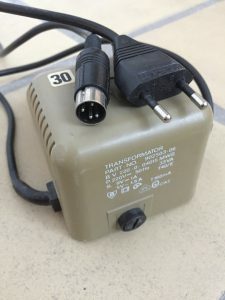 The electronic components are assembled in a sturdy metal case and I had Ray install an IEC power connector so I could use my own mains cable for the European 230V @ 50Hz mains voltage. My custom made version only has a power connector for the C64 while the standard version comes with a C128 connector as well. This PSU is one of the nicest peripherals I have for my Breadboxes! 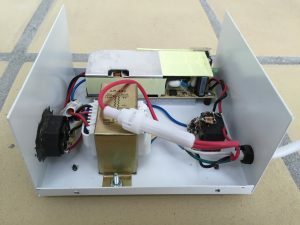 This is the inside of the Ray Carlsen PSU. Everything is kept nice and neat! 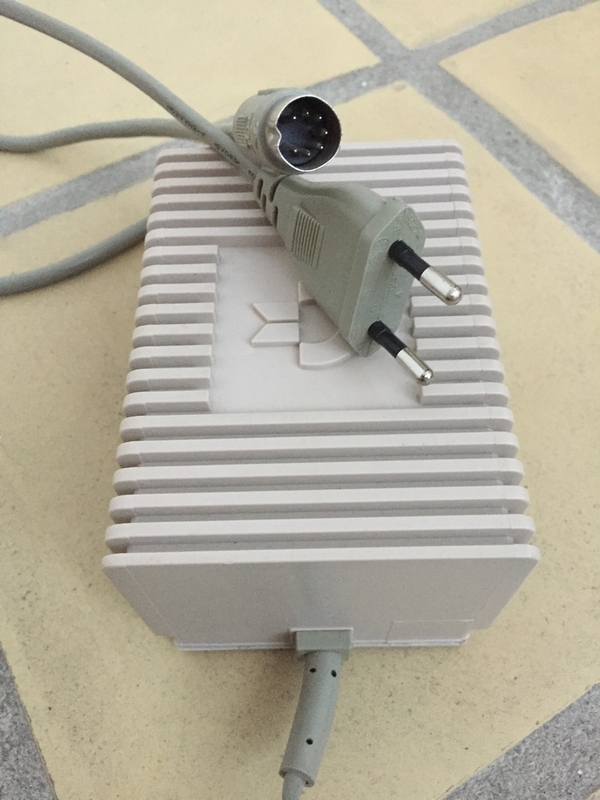 The Polish company Electroware has made a small PSU for the Commodore 64. 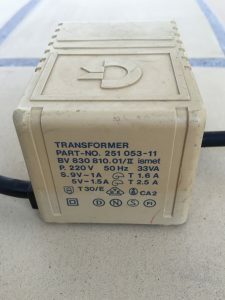 The 5VDC line (up to 2A) uses a Mean Well IRM-10-5 transformer with a ripple noise of 200mVp while the 9VAC line (up to 1.11A) uses a Hahn BV EI 481 1291 transformer with a no-load voltage of 11.50V (10VA) which should provide more than enough power to most users. Its over protection circuit is based on a crowbar protection circuit and a TVS diode. 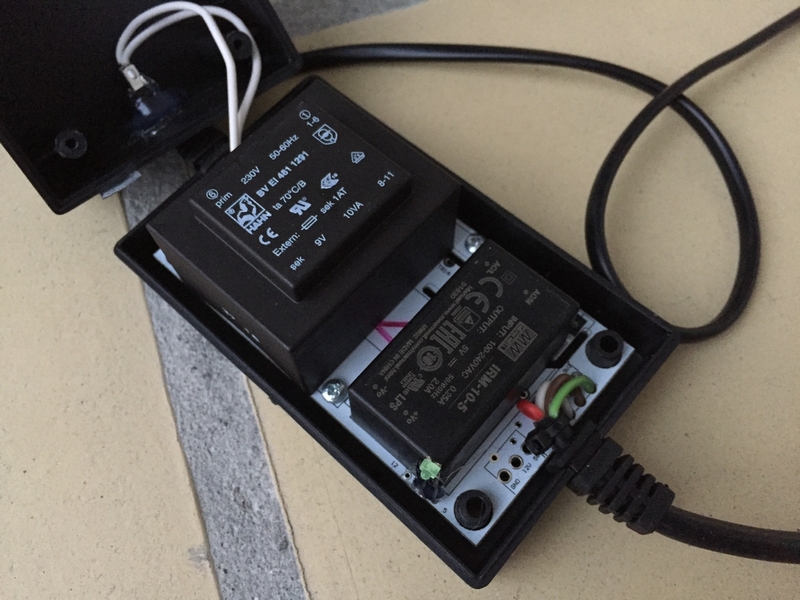 The circuit is set to trigger around 5.2-5.3V. 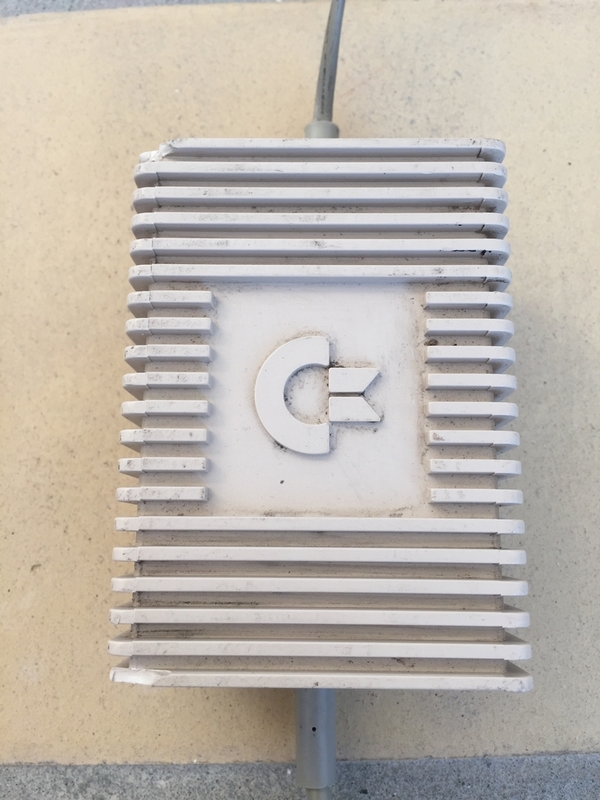 With the PTC fuse, filter and cable voltage drop, no voltages higher than about 5.1V should ever reach the Commodore 64 main board. A review of the power supply can be found here (link). 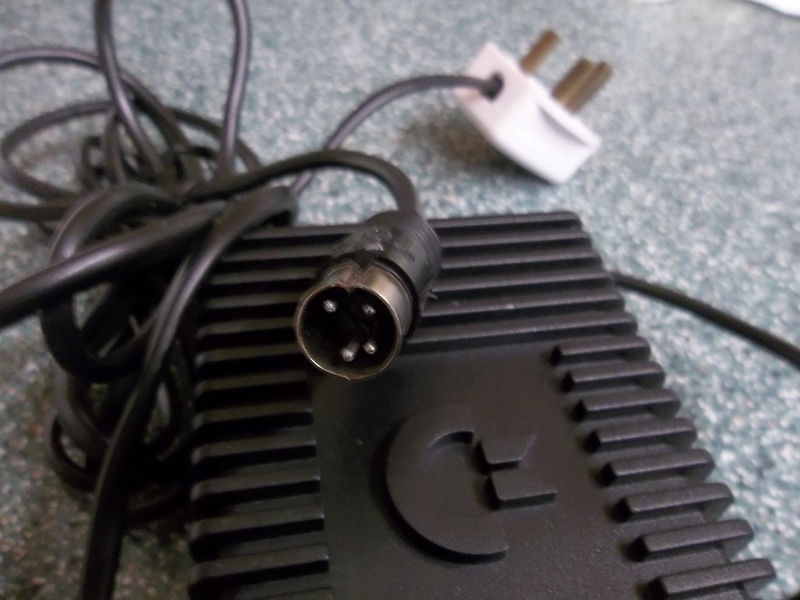 A very useful and well writen article about the different PSUs for the Commodore 64. 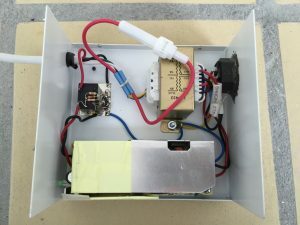 Maybe a follow up on how to build your own in the future? 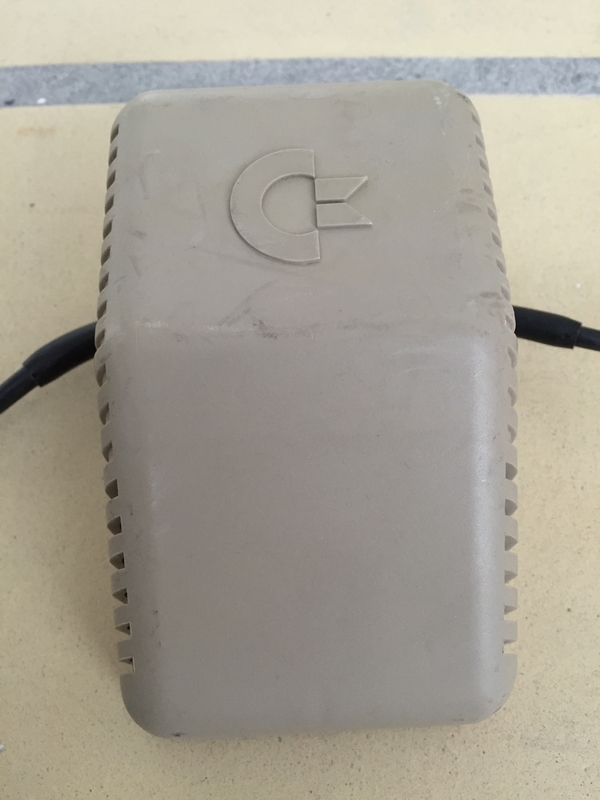 Just added a repairable PSU (Commodore 64 PSU #1 (Part No. 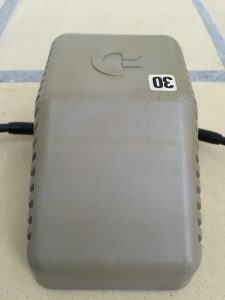 251053-11)) and a C64C PSU with an external fuse (Commodore 64C PSU #3 (Part No. 251053-11)) to the post. Just contacted Ray to try get one these c64 psu for uk c64c computer hopefully hear soon, not used my c64 in some years and want to keep it working for many more years to come. 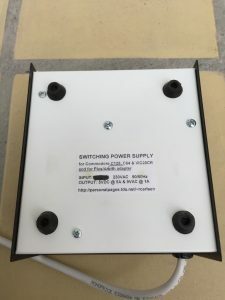 In my own experience, Ray was extremely fast to get everything done and shipped. I did not get the bill until after he shipped the PSU to me! I guess he trusts people 🙂 As you’ve already decided to go through the hassle of getting one of Ray’s PSU’s, I would also recommend that you consider getting a Computer Saver as well. Just in case you later on decide to use an original PSU with your C64C. 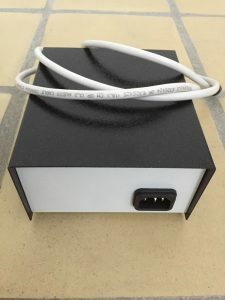 hi all, I have just aquired a black psu part number 310200-10 and a cream/beige one with exactly the same specs but part number 902503-07. 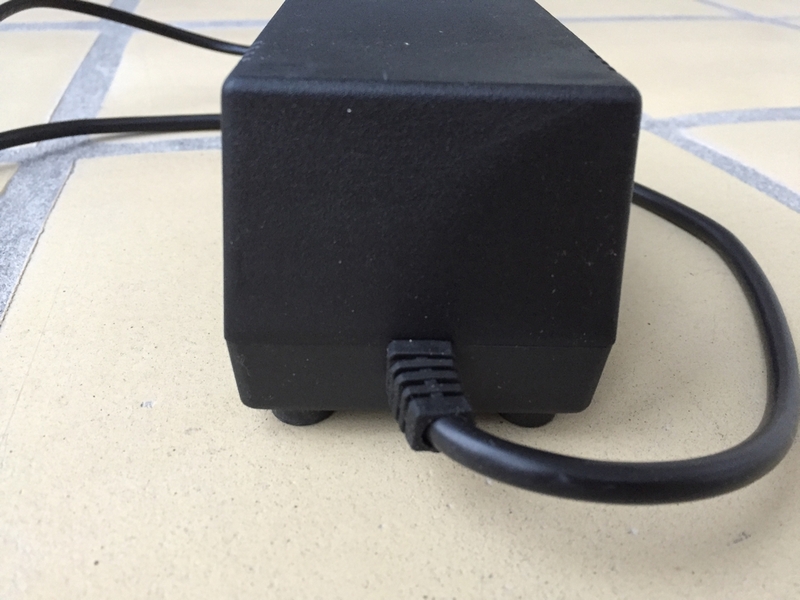 The black one is the same shape but has a SQUARE connector instead or round !!!! they both have the correct logo but neither of them have switches on the back. Any one have any ideas about the black one ? ( being square an all )??? 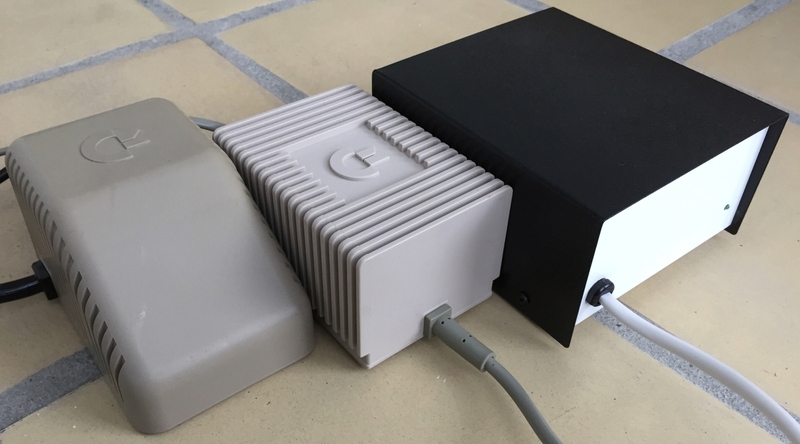 The black one is for the Commodore plus/4 system 🙂 The other one was made for the Commodore VIC20 but it should work with the C64. However, never trust an old PSU! Always test them with e.g. 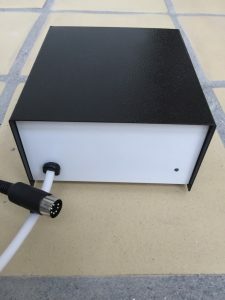 a computer saver like Rays or similar. Hi, sorry this took “a while”, I totally forgot I posted something here 🙂 I actually opened and repaired a “902503-06”, *which has a square fuse plate*, last year. 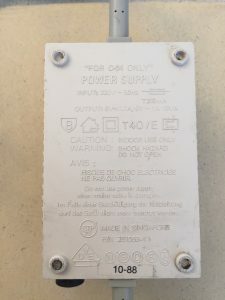 It was a real pain to open, especially to get the regulator detached from the “epoxy” or whatever that super durable goo inside the PSU is 🙂 I didn’t not touch the 9V electronics, only the 5V side. I replaced the capacitor, and other soldered components on the PCB, but especially the regulator to a high quality Linear Technologies one. Runs like dream and much cooler than before. Unfortunately, no pics survived my phones death :/ Just to let you know. Hello! 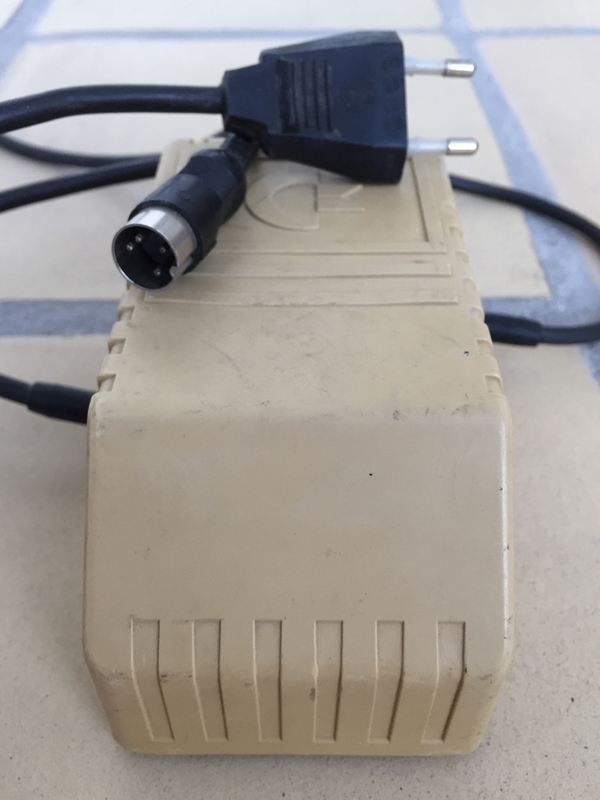 Which power supply is the best for my Commodore 64 Aldi version made in 1987? 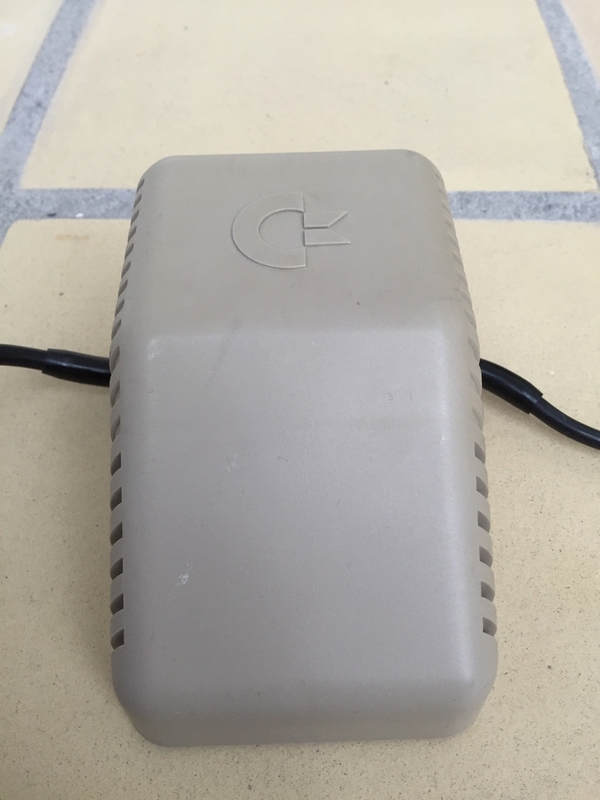 All C64 power supplies should work with your Aldi machine 🙂 However, as far as I know it was originally shipped with the beige/white version PSU (i.e. 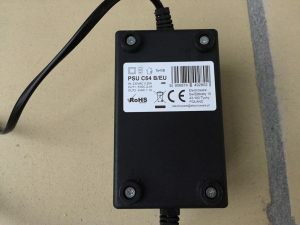 PSU Part No. 251053-11) that also came with the C64C version. 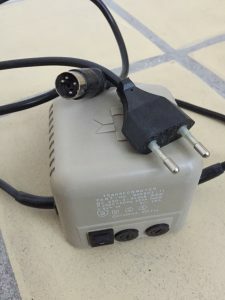 There is also a new replacement power supply made by Retro Game Supply. 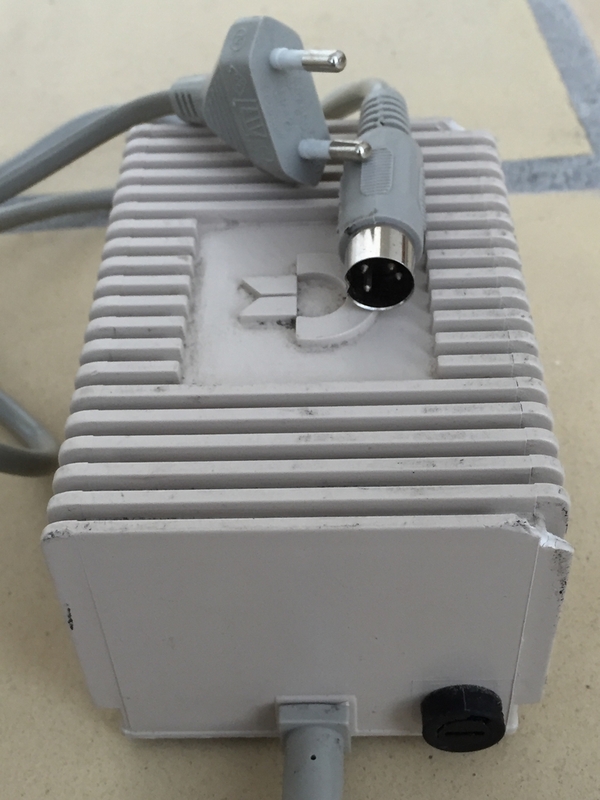 I use it on my C64 and C64C and it works perfectly (link). 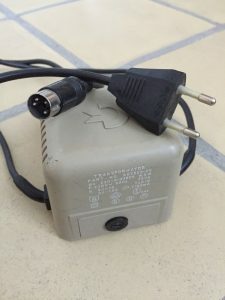 Hi, Which of these work with the CD32? 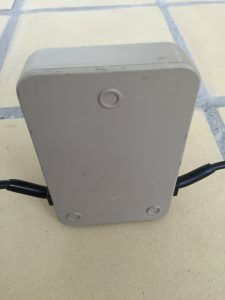 (4 pin DIN) It came with a black “C65” one. Just wondering which is the closest here to that. Cheers. The short answer is that none of the C64 PSU’s can be used! 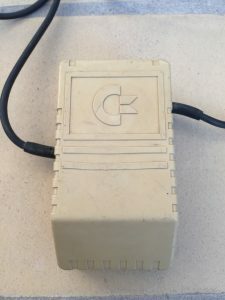 The Commodore CD32 uses the C65 prototype PSU (should say ‘C65’ on the bottom). 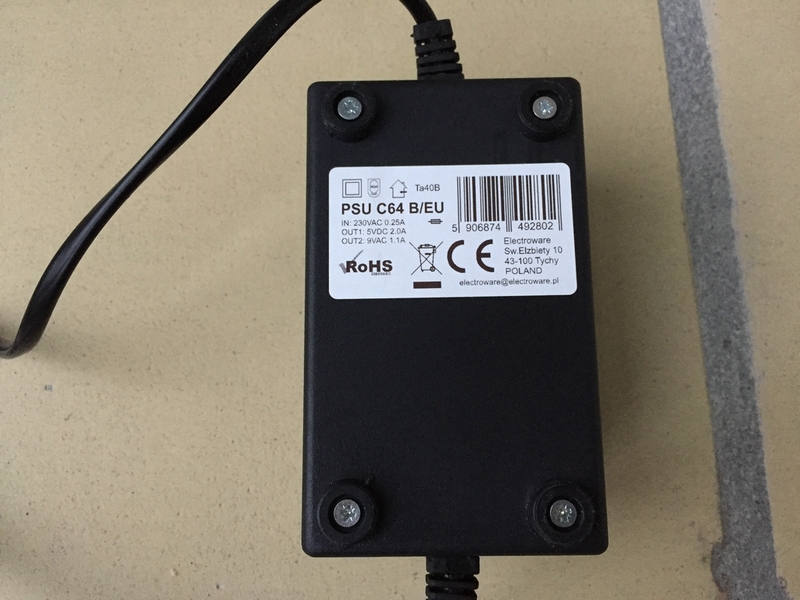 The 1541-II/1581 PSU is similar to the CD32 PSU (same voltage on same pins) but it cannot handle the power requirements of the CD32. It needs something like +5VDC @ 2A and +12VDC @ 0.5A. You should be able to get one from vesalia.de. 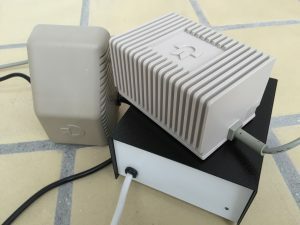 I’ve added another PSU (thanks Gary!) to the list. 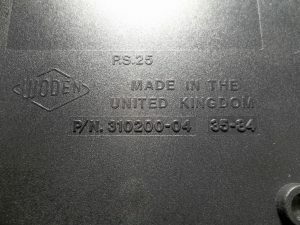 This one is made in England, it’s black and has part. no. 310200-04. Hello, greetings from Colombia, very interesting article. I have a power source for my Commodore C64 that is not among those that shows P/N 251053-02. I has a red metal box and a large external heatsink. I have a PSU # 251053-2 but looks nothing like the one you have on the website. How can I send a picture? 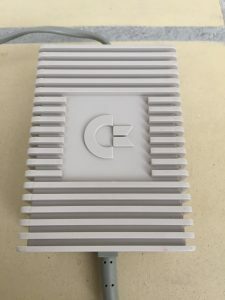 I just bought a C64C from an eBay seller and it it came with a PSU part number 251053-12. it looks similar to the 251053-11. except the part number is printed on the bottom and the power in/out cables are on the front and back instead of the sides.. 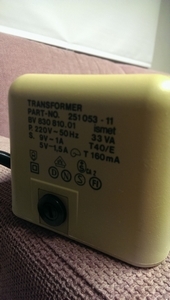 Manufacture date appears to be 1990. 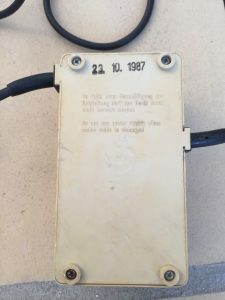 Currently to fuse on the 9V supply has blown and if anyone can get me tips on how to dig it out of the epoxy so I can replace the capacitors and 5V regulator I’d be very appreciative. I recently picked up an early-ish breadbox that came with a power supply label P/N 251053-02 (same part no as José’s Colombian one), but it’s a sealed black plastic with no switch that looks more like the Part No. 310200-04 you have above. 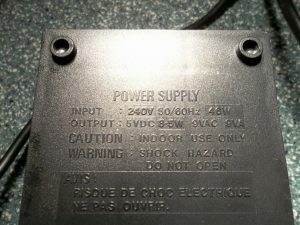 The part numbers may not be enough to identify a specific power supply. 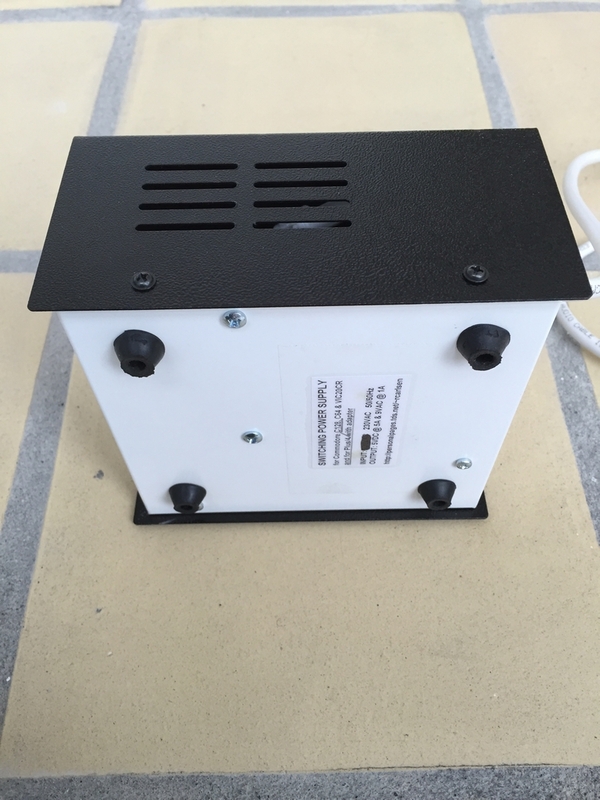 I have added the PSU from Electroware to the post. 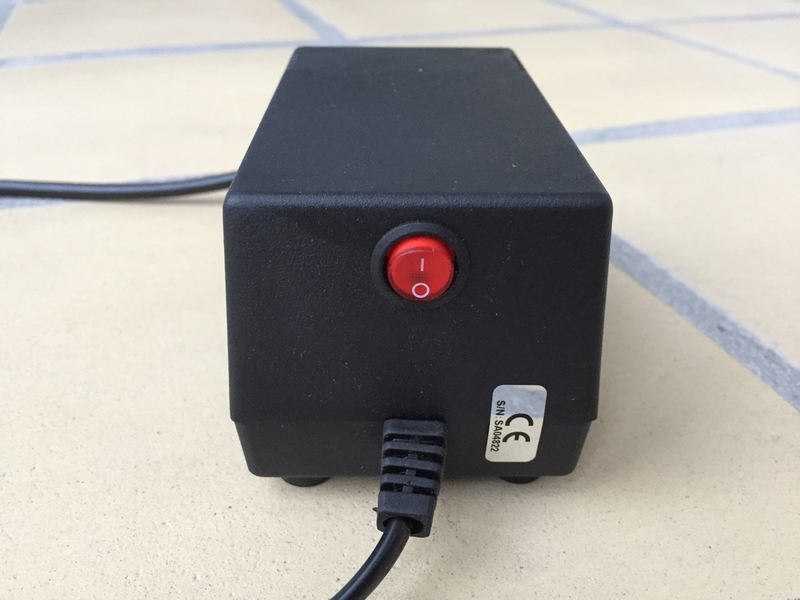 A review of the power supply can be found here (link).